RAJAMAHENDRAVARAM:The skyrocketing prices of fireworks have hit cracker business. Many cracker shops in the city wore a deserted look on the eve of Diwali as the prices of fireworks are not within the reach of common people. According to traders, the prices of firecrackers have gone up by 35 per cent this time compared to last year. As many as 231 cracker shops were set up at Subrahmanya Maidanam, Government College grounds, VL Puram, Lalacheruvu centre, Innespeta, Alcot Gardens, Konthamuru and other places in the city. Sub-Collector Vijaya Krishnan and urban SP B Rajakumari directed the traders not to sell Chinese made fireworks to ensure the safety of people and curb atmospheric pollution. The official machinery took foolproof measures to thwart any untoward incident on the festival day. In the meantime, NGOs and animal lovers have been appealing for the celebration of Diwali in a way that will not cause any disturbances to animals. The high sensitivity of animals to sound causes problems for them during the festive season when crackers are burst. Environmentalists have also requested for minimal pollution celebrations. 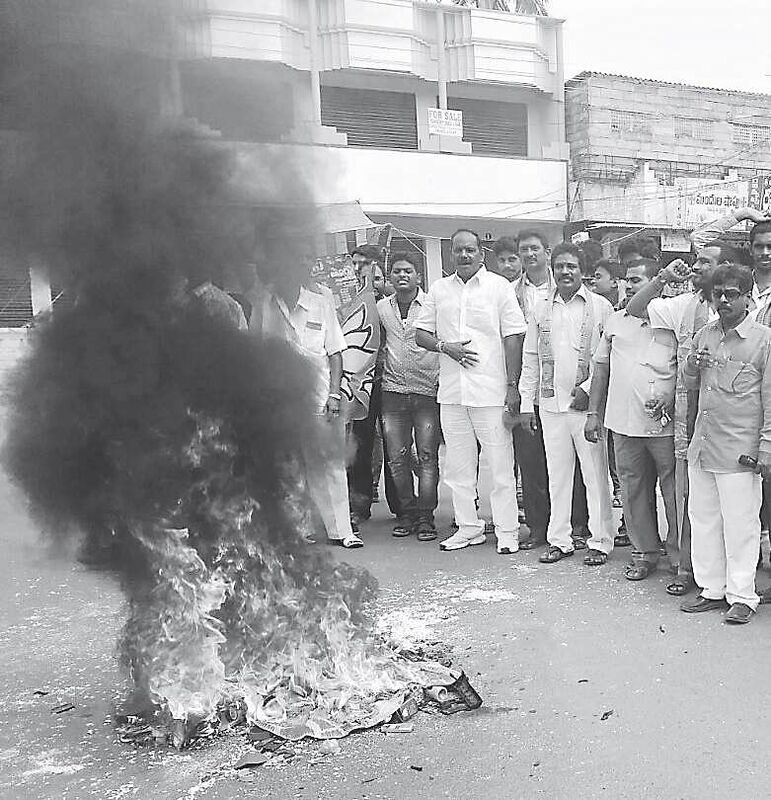 Eluru: BJP activists burnt China-made goods at the fire station centre in the city on Saturday. Responding to a call to boycott Chinese products, the BJP activists also took out a rally in the city to promote awareness among people about the Make in India campaign. City BJP president Nagam Siva, gen secy Gadi Rambabu, v-p Kanchana Eswara Ramakrishna, party leaders ND Bhaskara Rao, M Durgarao and others participated in the protest.